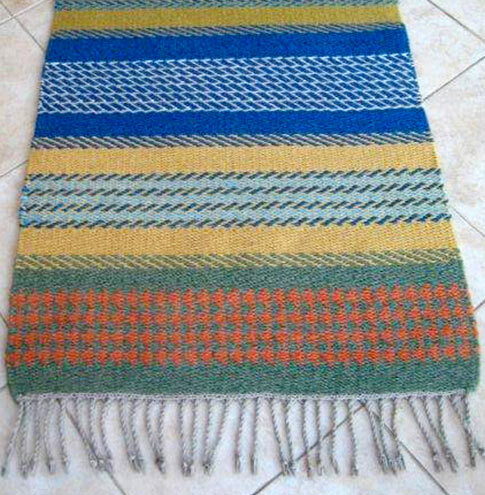 I originally wove with a group of weavers at Dartington for many years, sometimes more off than on but now with more time and with our new workshop weaving is higher up my priority list! 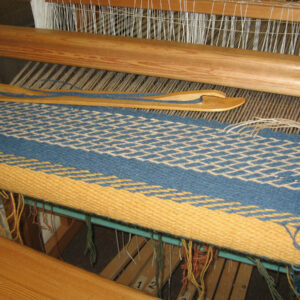 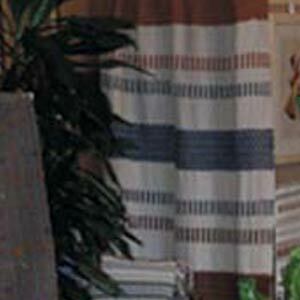 I prefer making household textiles, rugs, cushions and curtains rather than clothing and fine work. 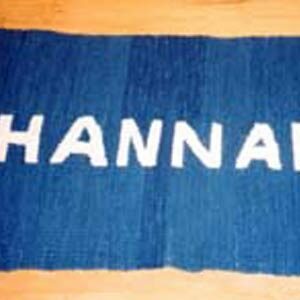 I often dye my own yarns and particularly enjoy using indigo. 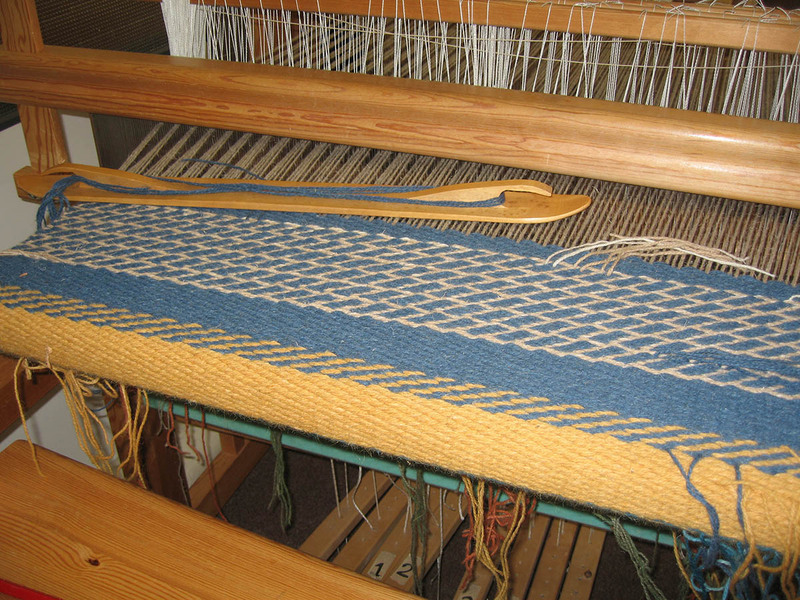 I have just completed a course on Rep weave in North Yorkshire and am looking forward to exploring it for rugs and placemats.